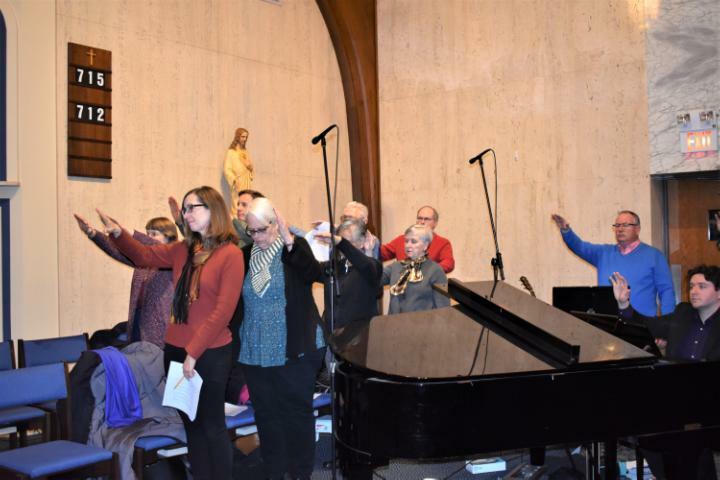 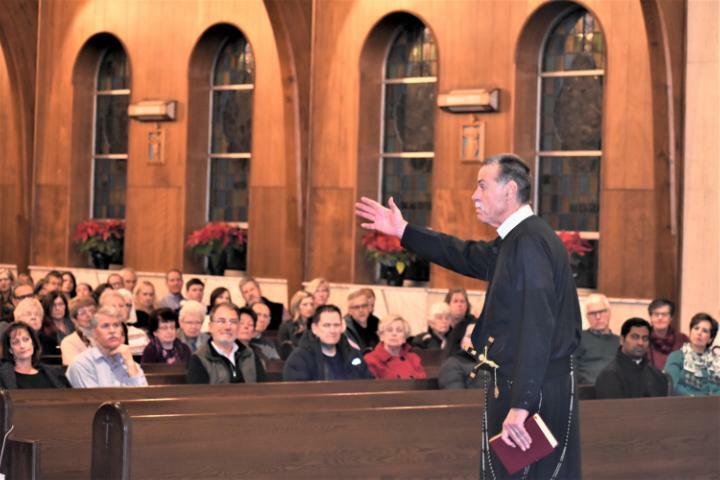 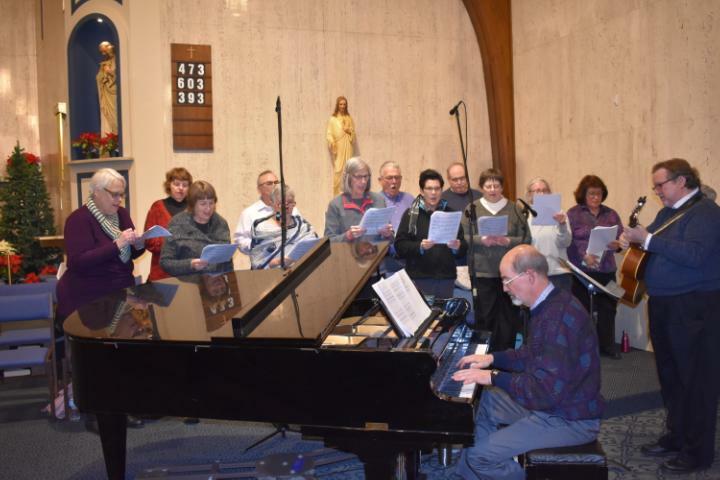 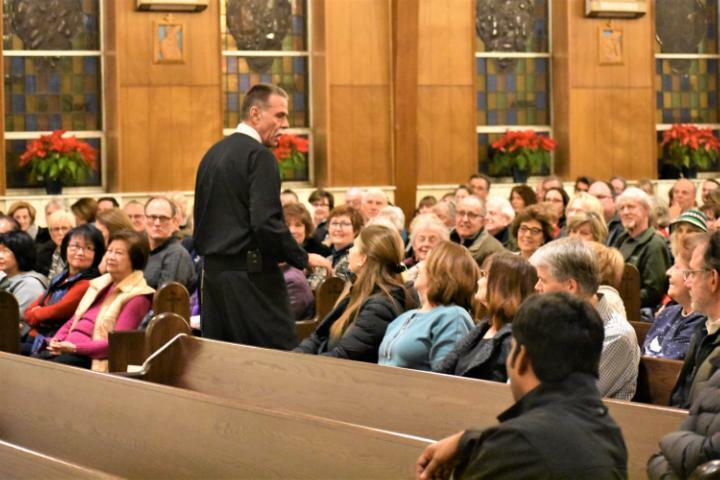 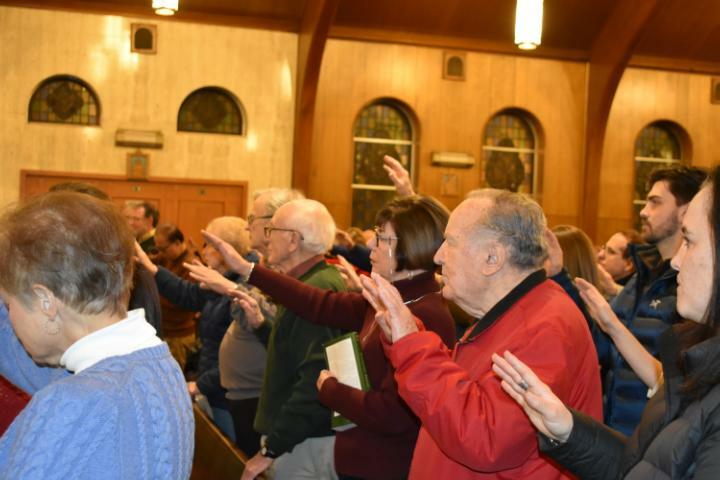 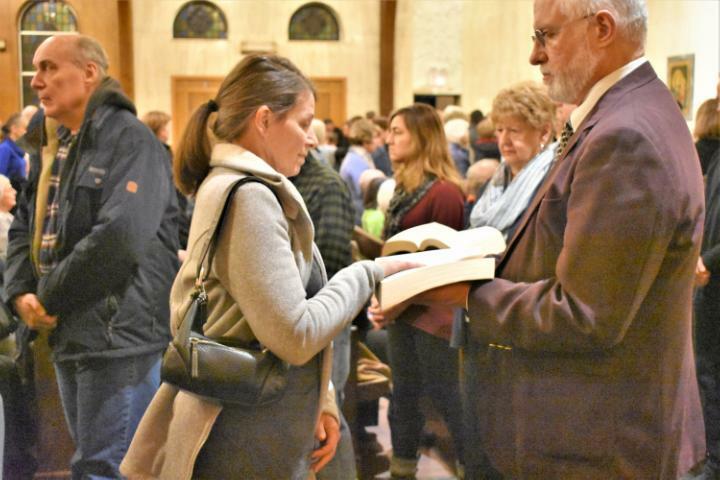 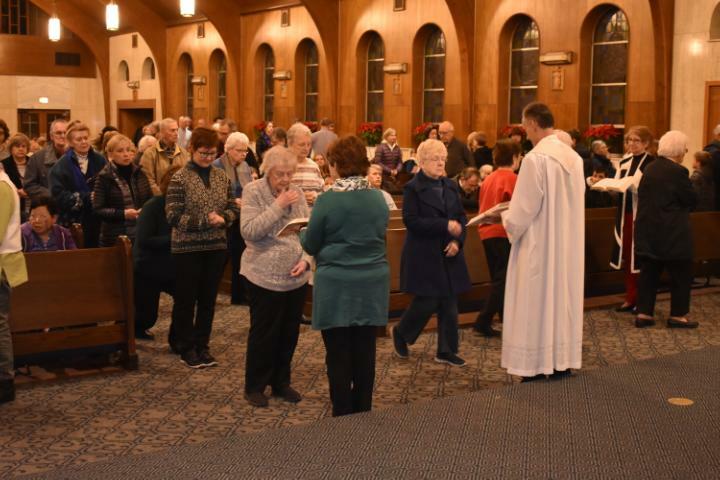 The four-parish “Together At the Cross” Mission held at Our Lady of the Wayside Church January 14-17 drew high praise and large crowds each of the four nights. 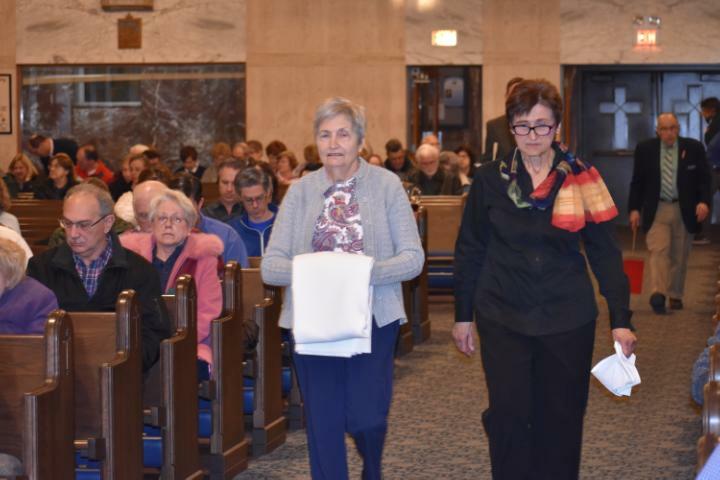 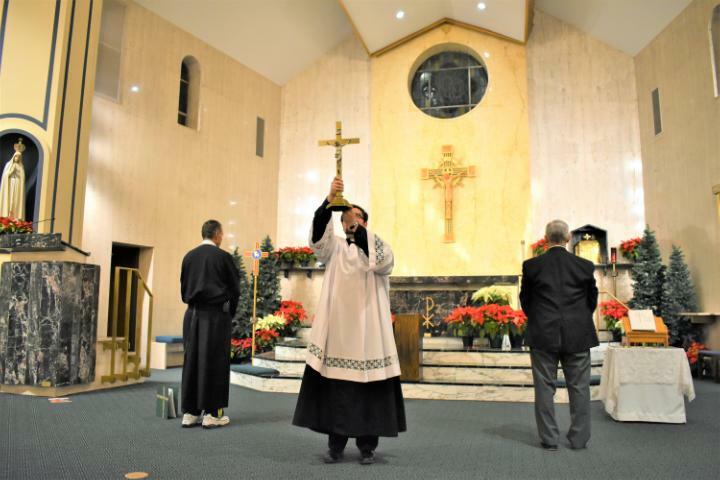 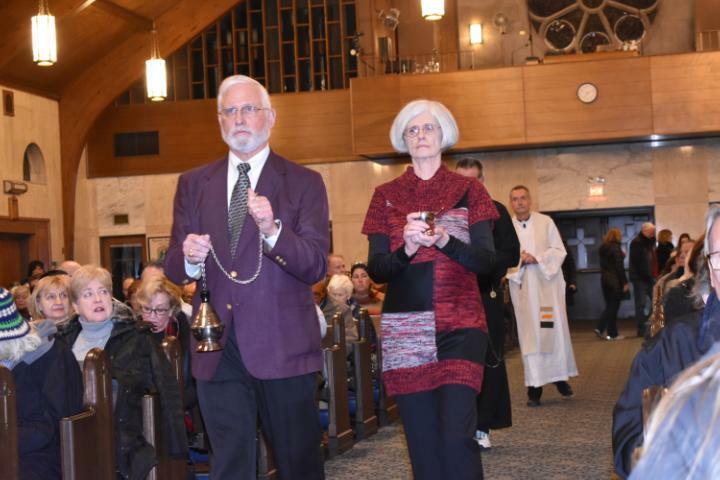 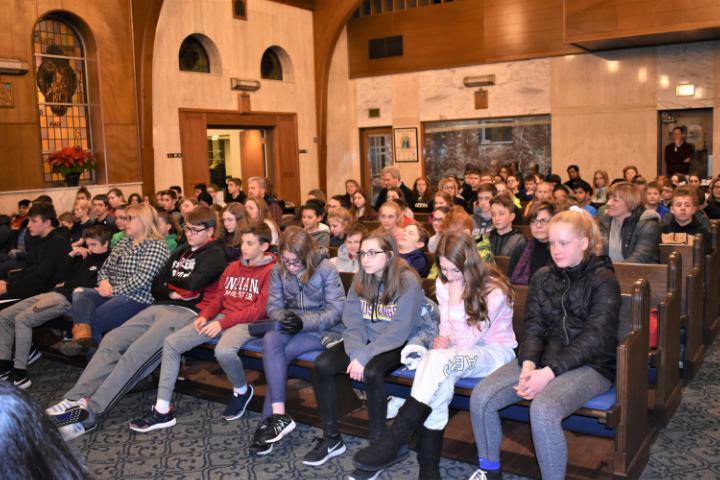 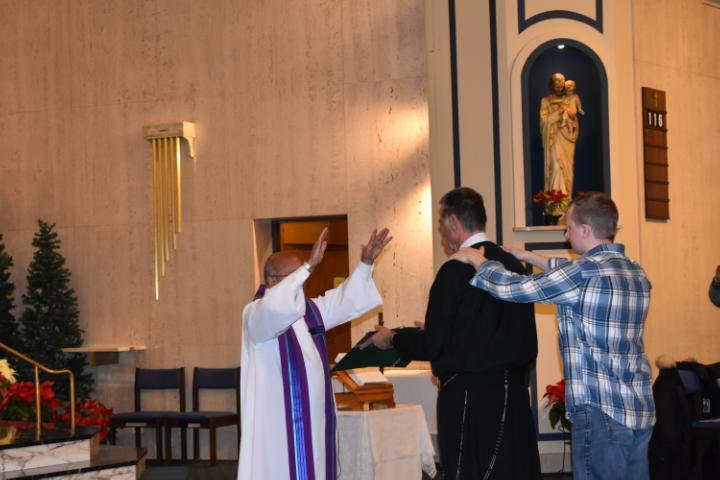 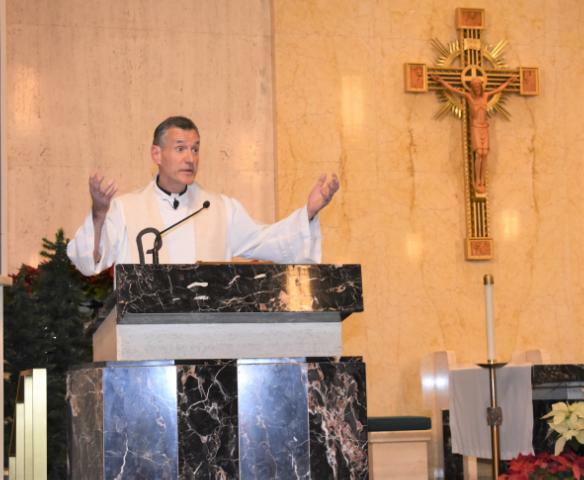 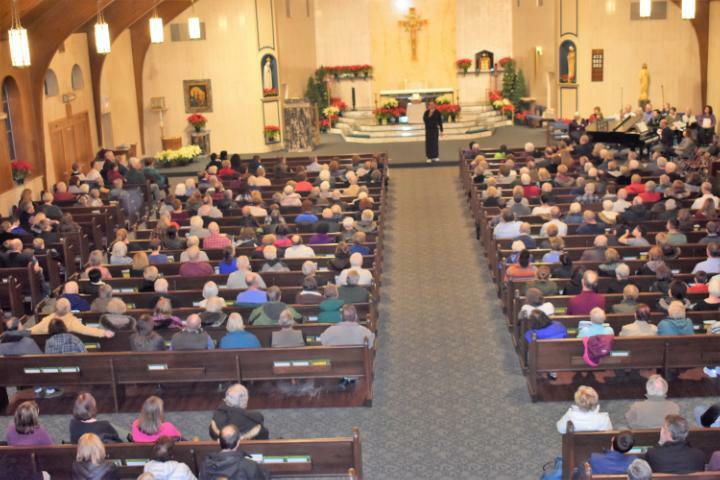 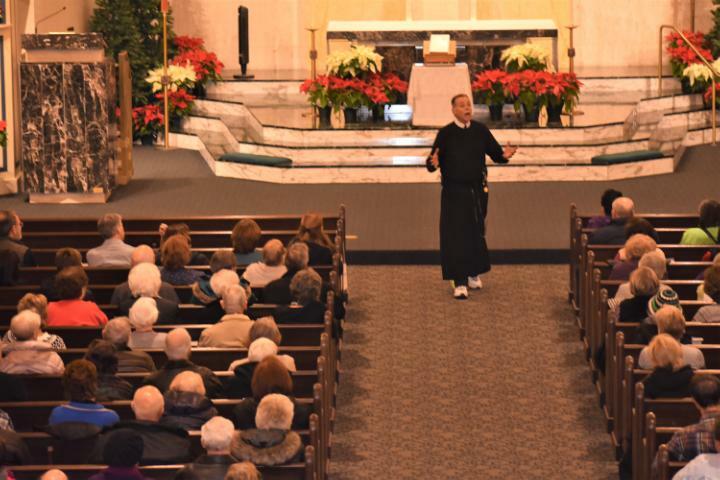 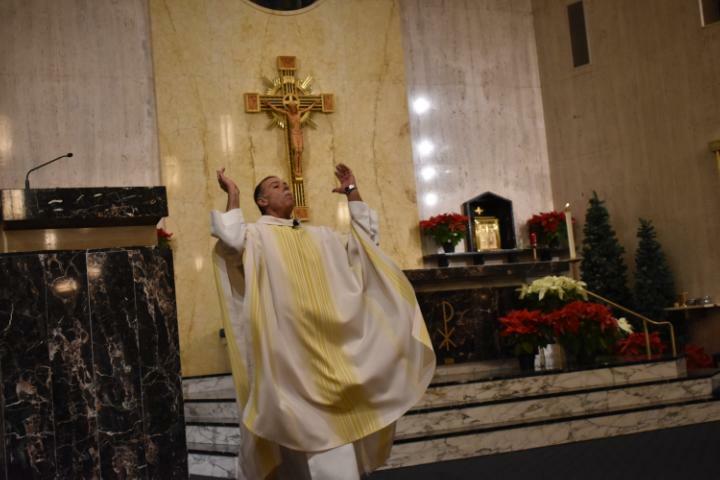 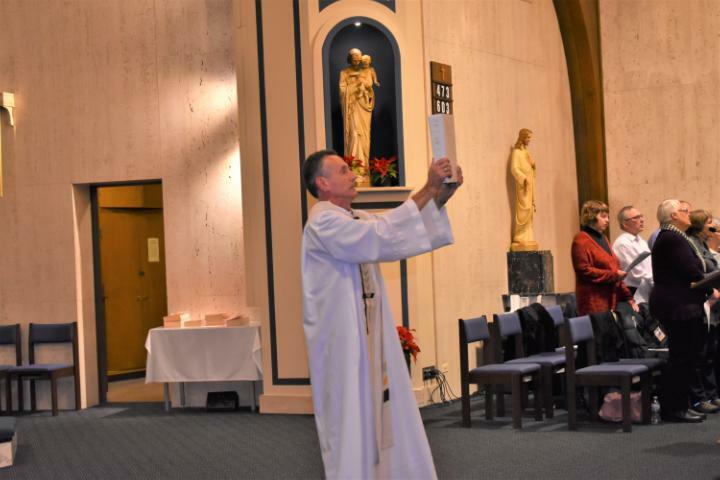 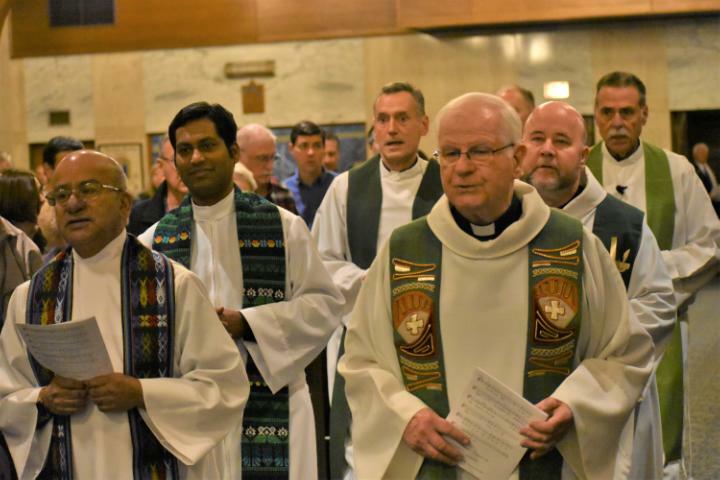 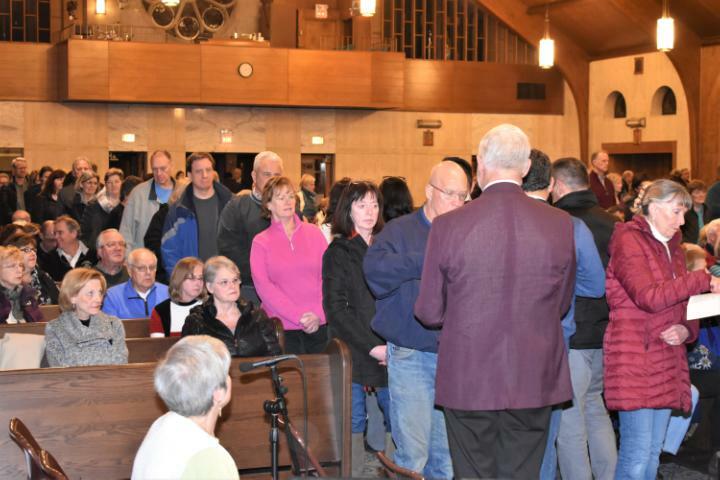 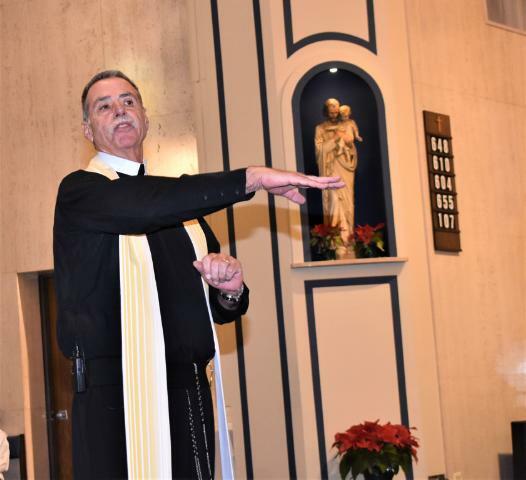 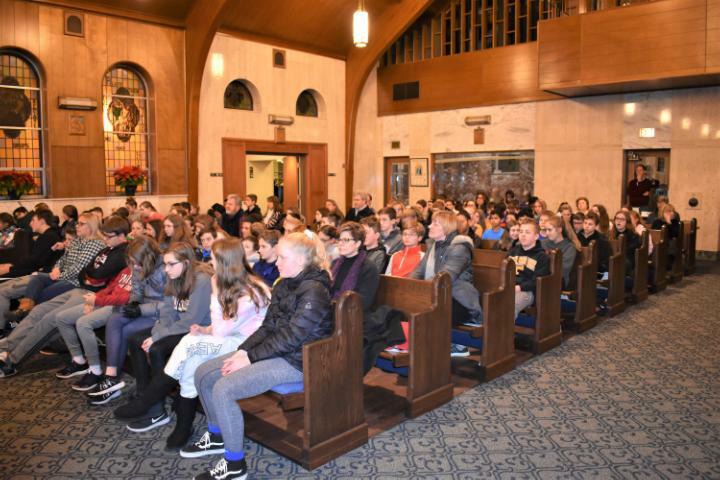 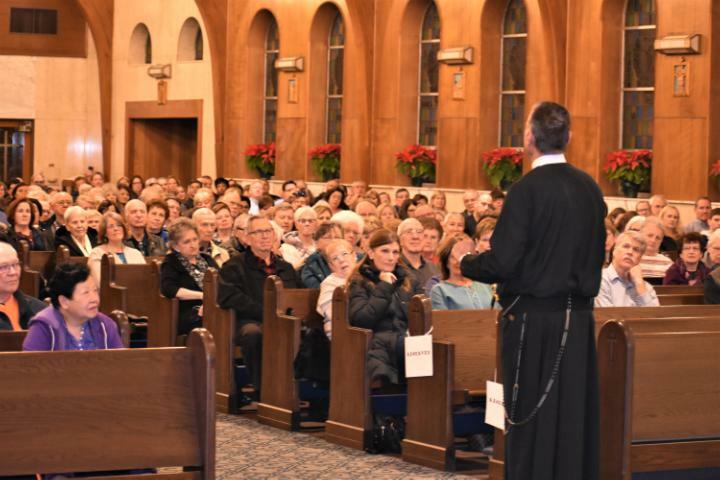 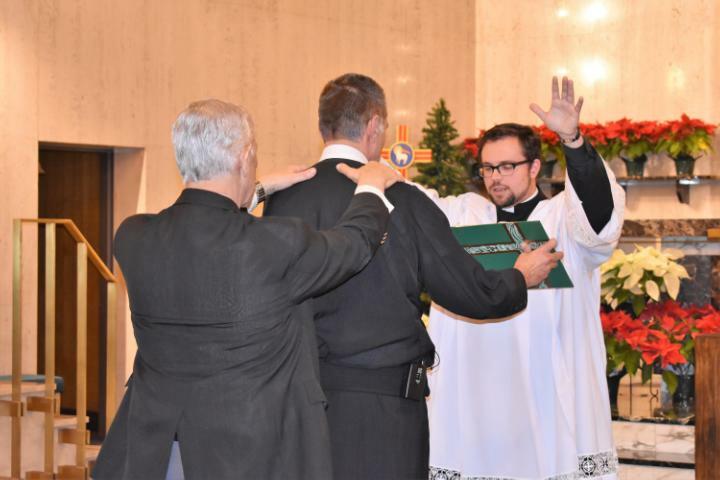 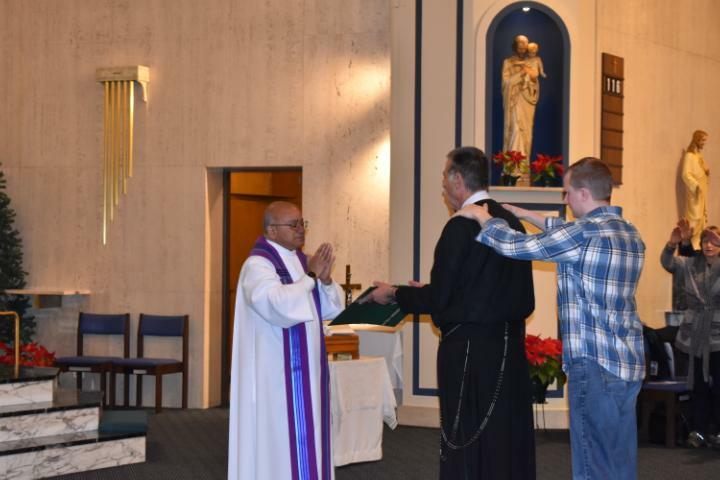 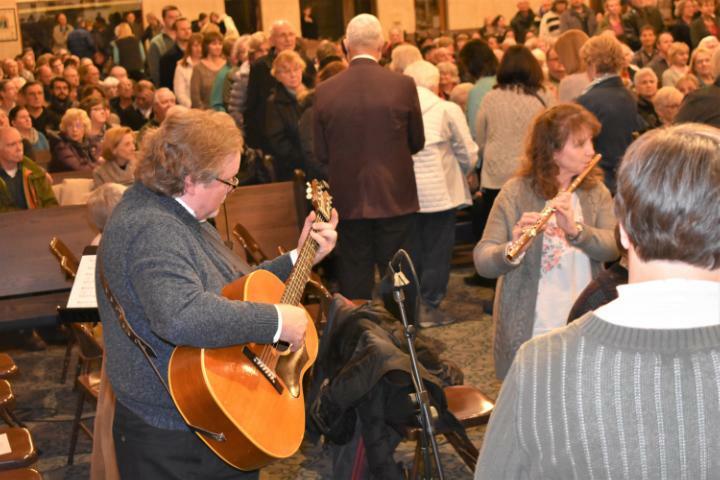 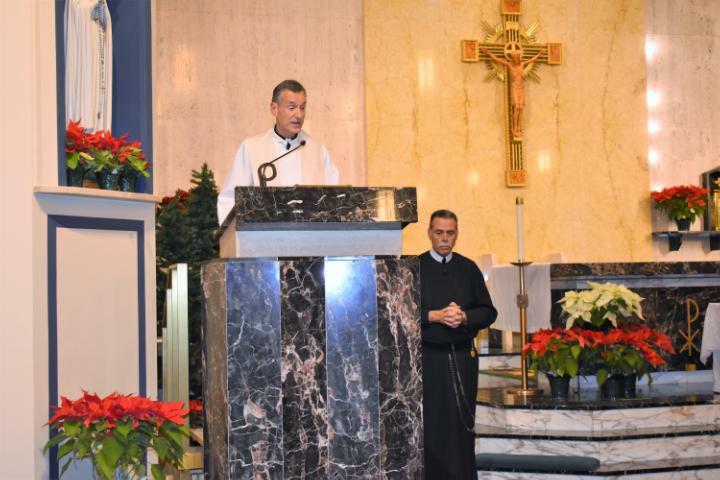 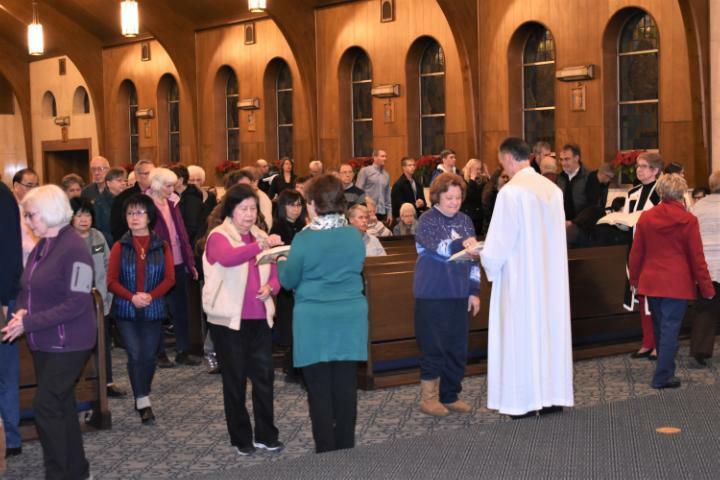 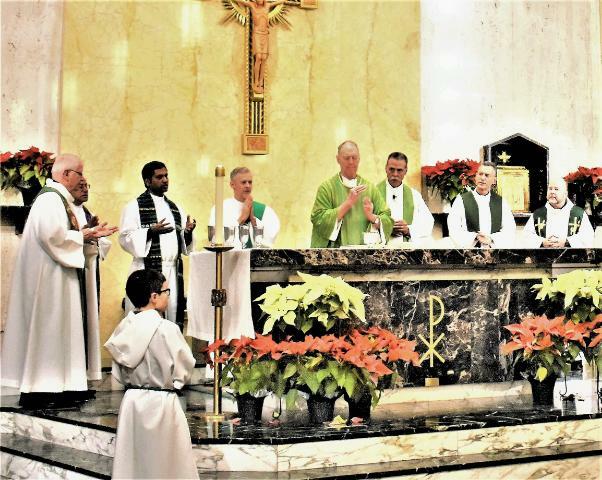 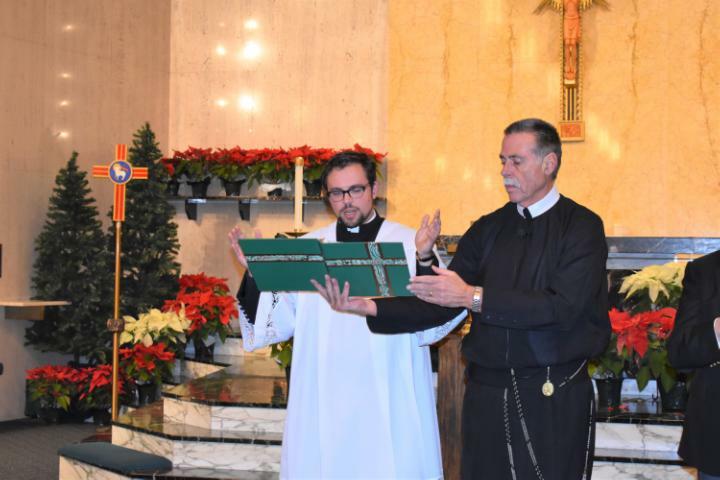 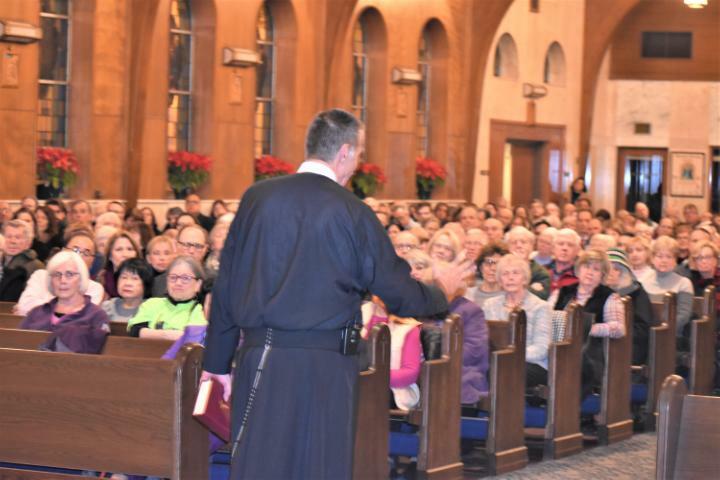 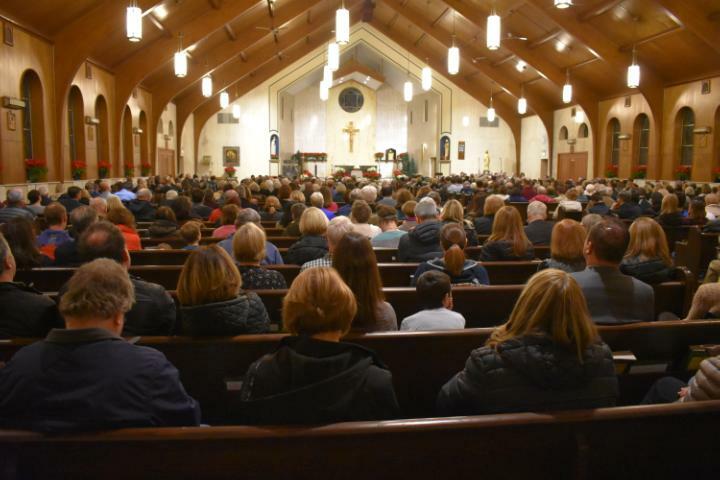 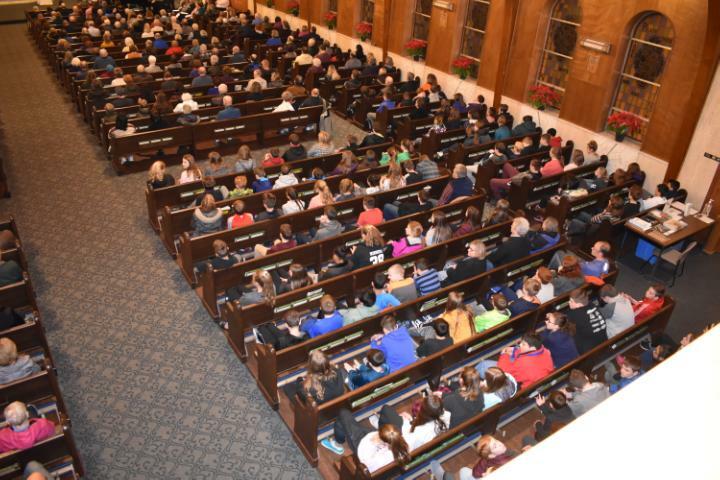 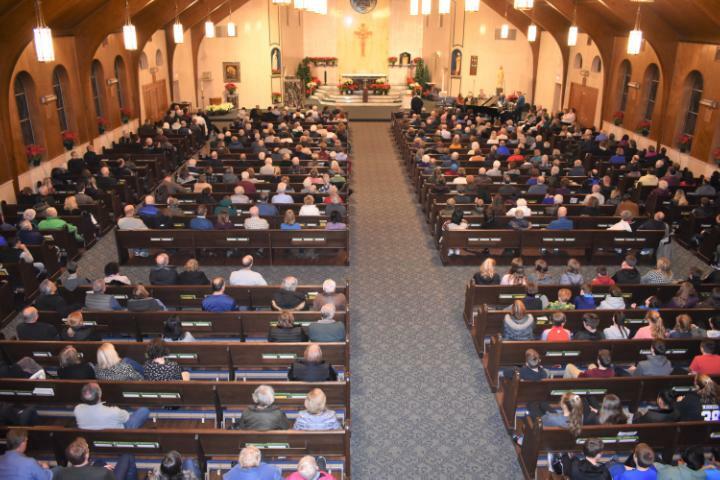 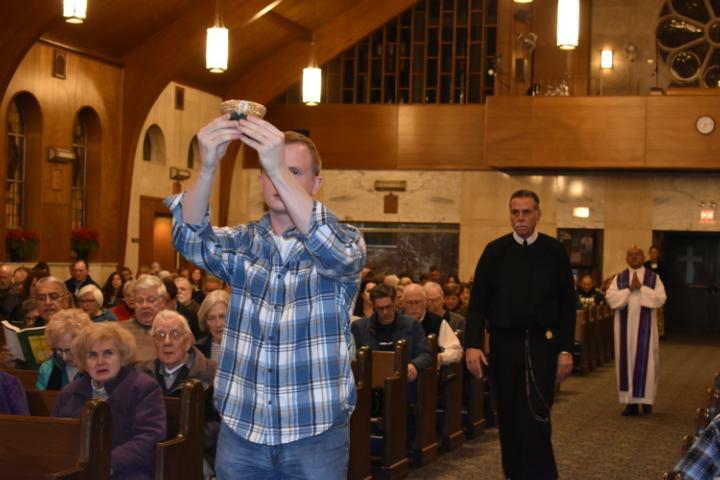 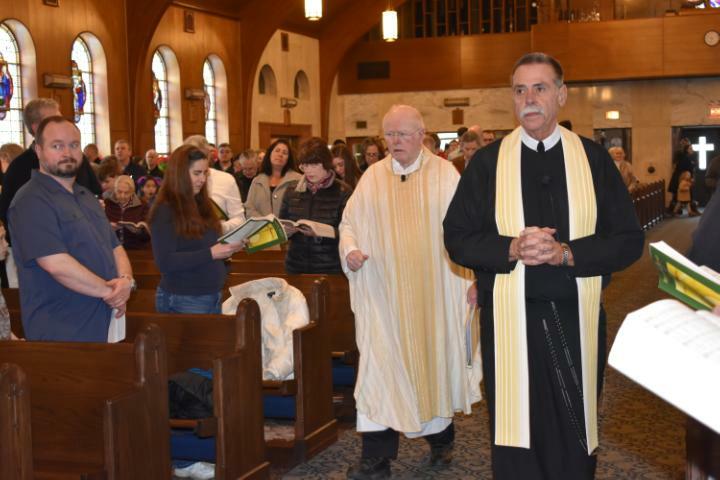 The mission concluded on Thursday, January 17, with a full church for the con-celebration of Mass by OLW Pastor Father Ed Fialkowski and the pastors of the other sponsoring churches, St. James and St. Edna of Arlington Heights and St. Mary of Buffalo Grove. 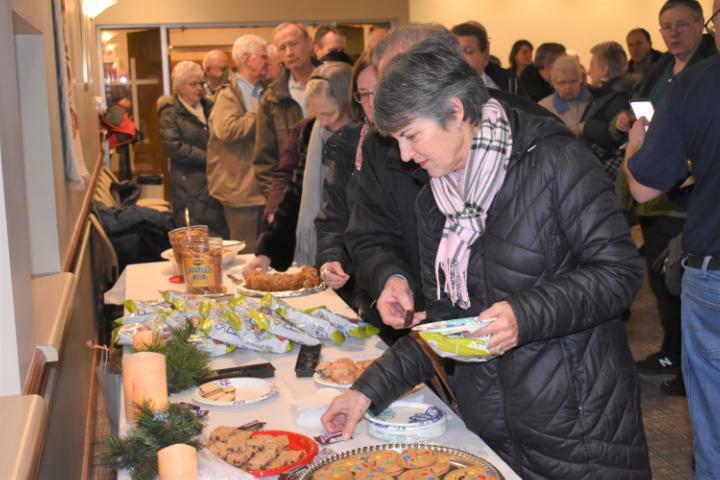 The four parishes have conducted annual missions, rotating locations among them, and the recently concluded mission was considered one of the best-attended in recent years. 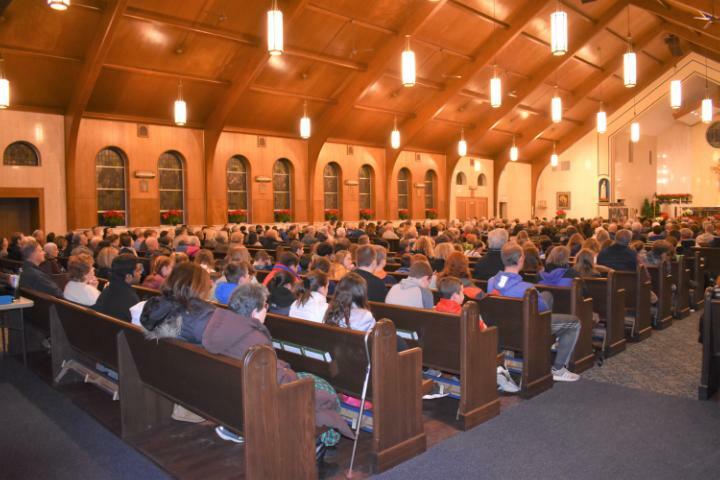 Despite wintry weather, OLW’s church was filled almost to capacity each of the four nights. 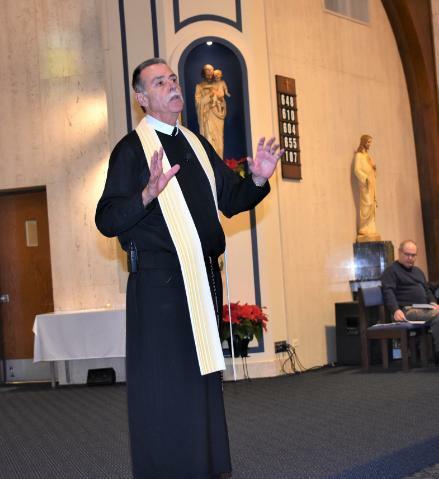 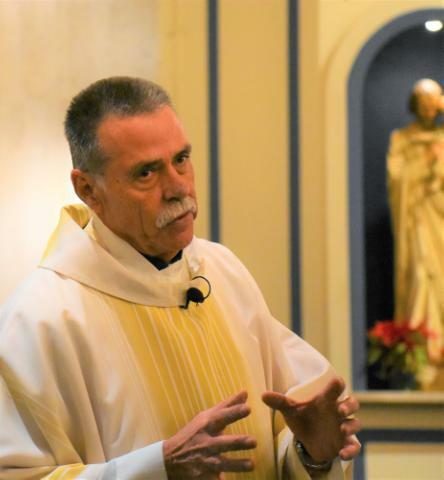 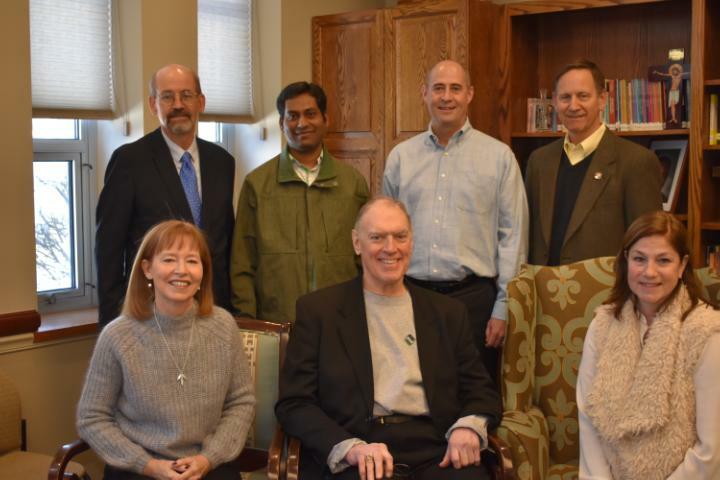 Father Peter Schavitz, a Redemptorist priest and native of the Northwest suburbs, was given much of the credit for the success of the mission. 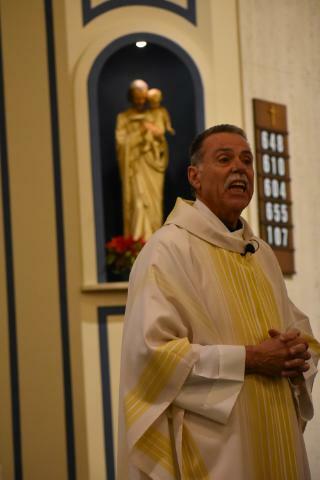 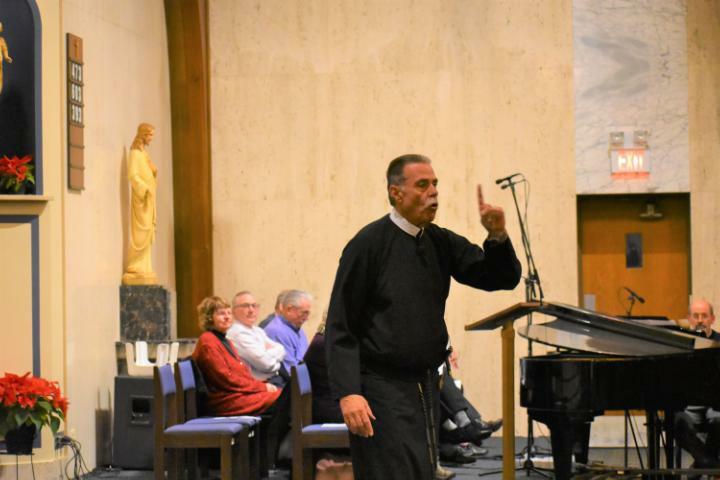 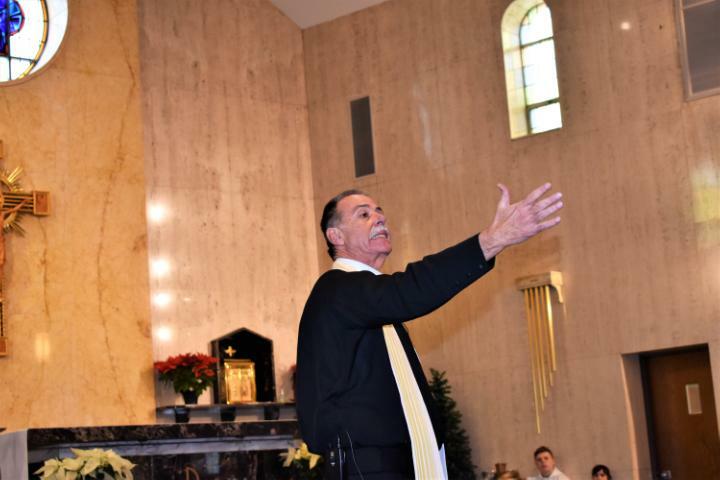 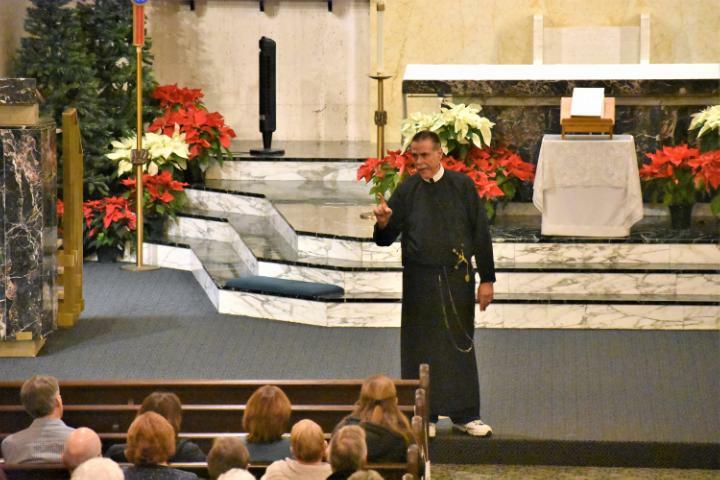 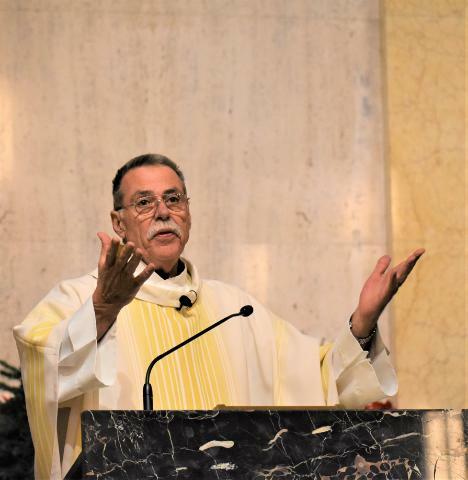 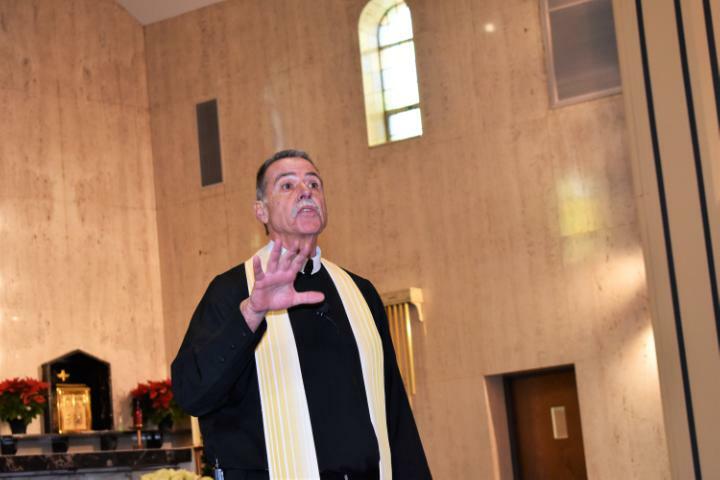 A dynamic preacher, Father Schavitz visited each of the other parishes during the week to personally invite parishioners to attend.